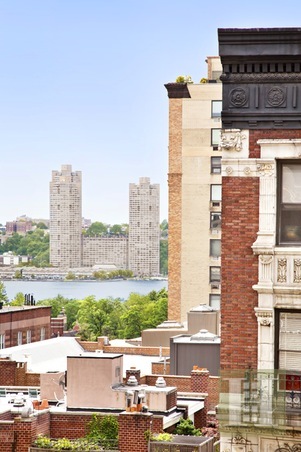 498 West End Avenue is a story of exceptionalism. 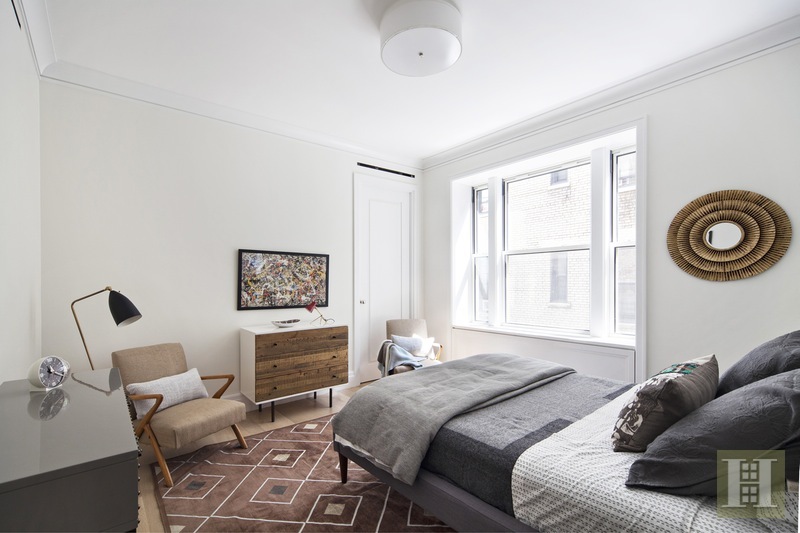 A new development from Samson Management with grandly proportioned three, four, and five-bedroom homes with interiors expertly designed by CetraRuddy Architecture. 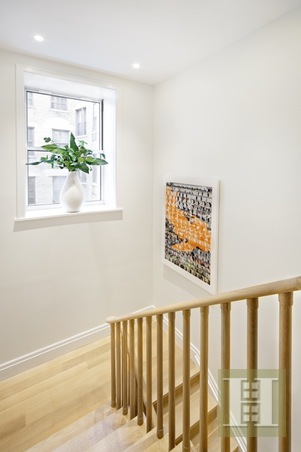 A home where space and light mix with elegant materials to infuse traditional forms with unrivaled inventiveness. Apartment 9B is a 4-bedroom/4-bathroom duplex with great light throughout and views of the Hudson River from the loft-like great room with a large open kitchen featuring designer details such as custom chocolate-stained, cerused oak cabinetry, beautiful marble counters, high-end appliances, and an oversize island/breakfast bar. 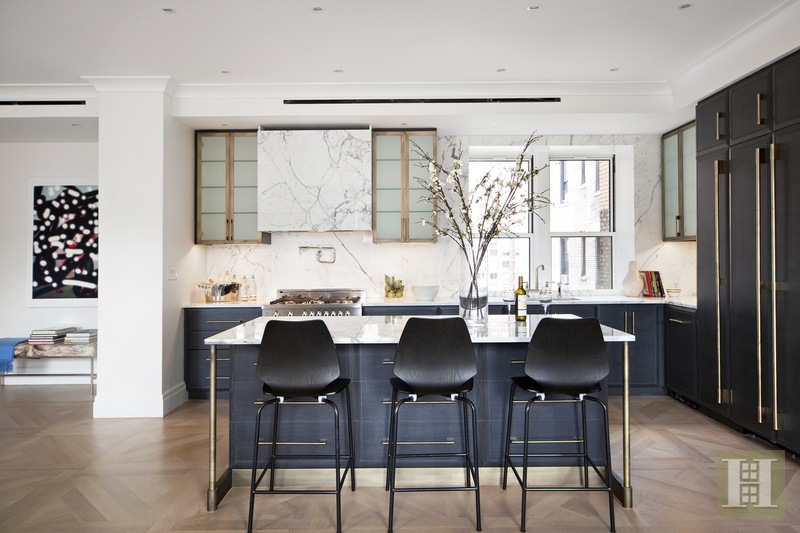 The white oak floors in a custom 30-inch square parquet-inspired pattern throughout the kitchen, living room, and dining area are stunning with five-inch straight planking in all of the secondary areas. Other notable details: solid core interior doors with polished nickel hardware by E.R. 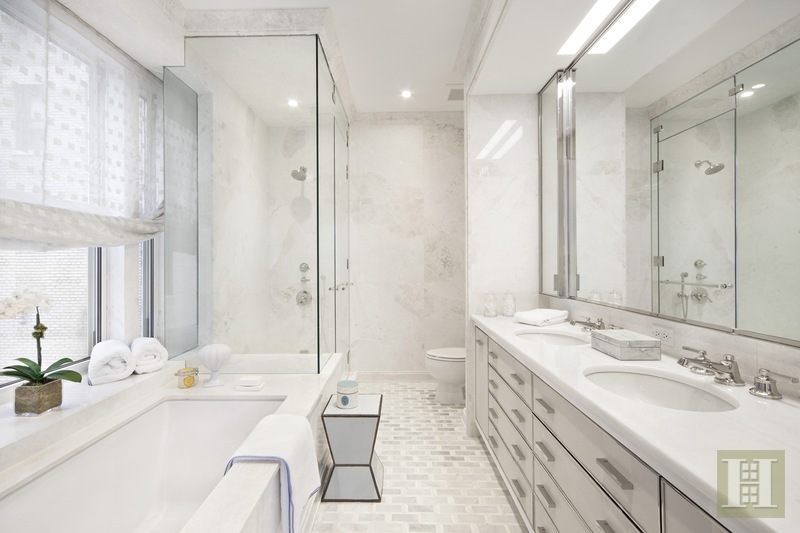 Butler, and mosaic marble floors and custom vanities with shagreen textured drawer facings in the bathrooms. There is a washer & dryer on both floors and central AC throughout. The master suite is especially inviting with a luxurious en-suite spa-like bathroom and giant walk-in closet. 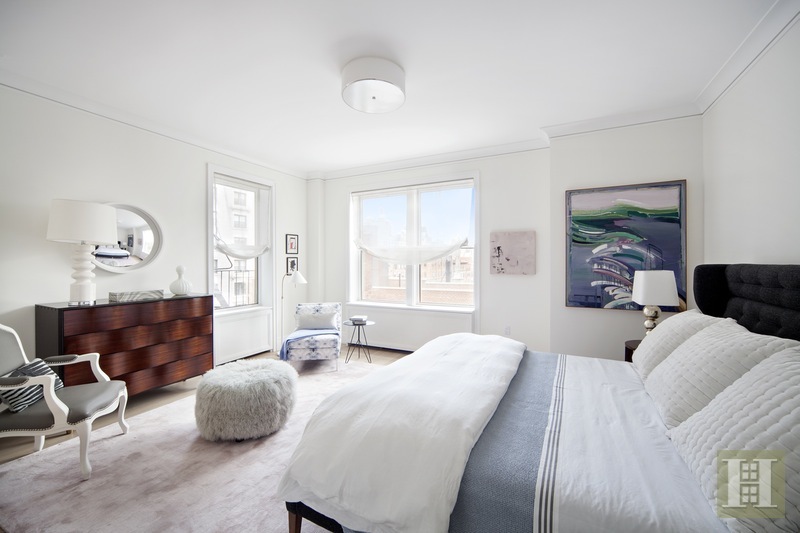 The level of imagination, artistry and workmanship at 498 West End Avenue has resulted in the creation of a winsome sophistication. The 24-hour attended lobby has been tastefully redesigned featuring decorative wall panels in a geometric pattern, and walls and flooring in a composition of Vanillis Pearl polished and honed marble and St. Laurent honed marble. 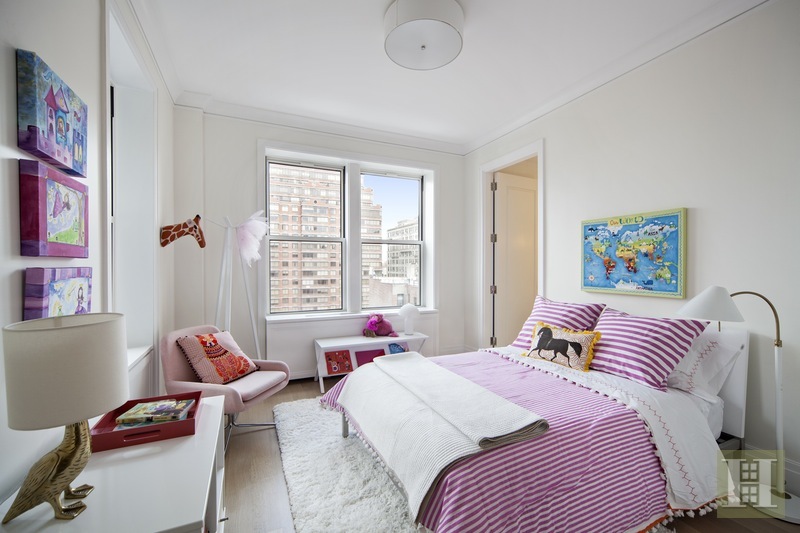 Additional conveniences include a live-in superintendent, fitness room, children's playroom with modular pin art wall, central laundry room, secured storage, bicycle storage, and pet-friendly attitude. 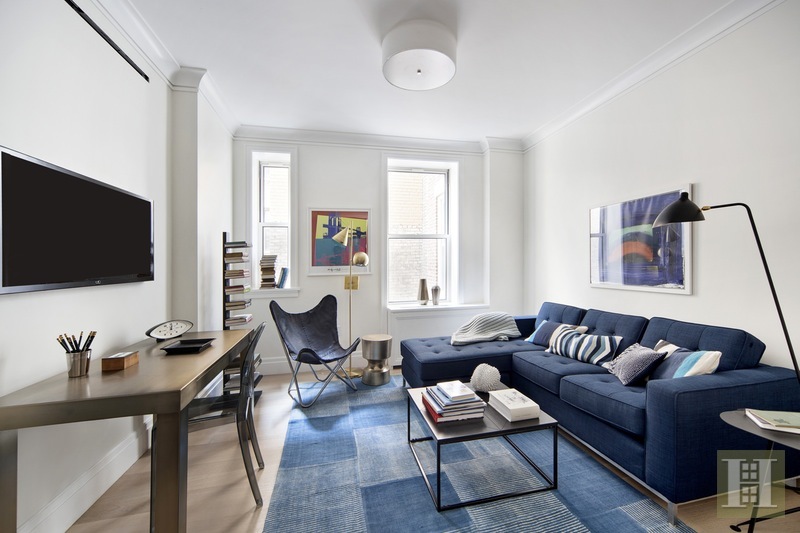 Great location on the Upper West Side near the crosstown bus and subway. One block from Riverside Park.